You are now viewing the Training Shirts category here at Soccer Box. Within this page, you will come across a wide range of authentic replica training tops as seen on the player’s themselves as they prepare for upcoming fixtures. Donning the crest of your beloved squad, enhance your practice sessions by investing in a fabulous high quality item of sportswear designed to provide you with a heightened level of comfort. Supplied direct from the manufacturer, we are able to offer a fantastic array of children’s and adults size. So, act fast and shop our full range of genuine training jerseys while stocks last! Training jerseys are the most popular choice for training as they contain the signature moisture wicking technology and have short sleeves. This combination of breathable fabric and sweat reducing technology makes it a must-have for all avid players. They are also short sleeved too which means that they would be best suited for outdoor practices in the summer or indoor activities. Another great replica shirt is the one seen on the players prior to their fixtures on the day. This is called the Pre-Match jersey and we have a number of these available. They most commonly feature the signature colour scheme of the club and contain the same sweat wicking technologies as the jerseys. However, these also have specially crafted designs on the front to make them stand out. One example of this is the Liverpool Match Shirt and we also have the pre-match tops available for Argentina, England, Brazil, Real Madrid and Manchester United. Made from cotton, we also have a collection of training t-shirts available for a range of clubs and teams. Due to the soft feeling of the clothing they can effectively be worn as practice gear or casual wear. We also stock a range of polo shirts too which also serve the same purpose. These types of practice clothing items are produced with minimal accents, making them perfect for every day wear. Training tops are often long sleeve items of clothing which can also contain a sweater feel to them or a jersey texture depending on the brand producing them. These are perfect for training sessions outdoors in the cooler temperatures outside. We also stock long sleeve tops with a quarter length zip for manufacturers such as Nike and Puma. Like the training top, the zipper is an additional bonus seen on gear such as the Newcastle United clothing. What Makes Training Shirts Ideal for Practices? Breathable fabric and moisture control technology both go hand in hand when it comes to producing high quality sportswear. Therefore, we are not surprised that these replica items of training gear also contain these significant attributes. 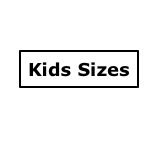 Most of the clothing available within this category consists of a polyester combination, with the exception of a few products. And incorporated within the fibres of the polyester base are moisture wicking technologies such as Dri-Fit by Nike, Climalite/Climacool by Adidas and DryCELL by Puma. This innovative design ensures that you are able to remain sweat free and focus on the training session ahead through the increased evaporation rate of moisture. The next aspect only a few training jerseys have in this category is a dipped hemline. This attribute it a great addition to shirts in order to provide an added layer of protection to the rear of the player. This is because it prevents a chill occurring up the back as it creates a seamless barrier when worn with shorts or pants. As well as this, it also avoids the risk of the shirt constantly moving during practice and causing a distraction by having to adjust it. A fine example of this technology in place is in the Inter Milan training jersey and also the Roma, PSG and Bayern Munich all contain a lowered hemline. Some clothing items also contain hidden thumb loops on their sleeves which provide sleek coverage in colder conditions. They also allow the clothing to fit seamlessly underneath gloves to prevent wind chill. Get your hands on our variety of children’s and adult’s training shirts today and receive it in an instant when choosing the best shipping service to meet your needs. Operating all over the world our express DHL, DPD and Royal Mail methods aim to get your parcel to your doorstep in a few days after dispatch. Be sure to explore the rest of our website before heading to the checkout as you can also purchase training pants, jackets and other items of core soccer kits too for your favourite team too. We also have a fantastic newsletter which you can sign up for below and receive amazing exclusive information. From news on new product launches to priority access to sales and a unique coupon code sent direct to your inbox, why not fill in the form today and become a member of our VIP club?